Bruce is the leader of the group and his words are considered golden by those wanting to perfect their "playa" skills. The smooth talking brother's popular handbook for lesser men, titled, The Playa's Guide for Dummies, is a much sought after publication by the male student body on campus. Its witticisms on the treatise of male/female relationships make for great fun. Amber is Bruce's younger sister and she sets her sights on his best friend, Marcus. Marcus has managed in the past to fend off his numerous admirers until she appears on the scene. An instant attraction sparks a lively romance. As the lovers set off on a funny, touching, journey of the heart, their relationship is wrenched from them through tragic circumstances. Twelve years will pass before the lovers are reunited and given a second chance at the life meant for them so many years before. Will they find the happiness that eluded them in the past? As time and space distanced the Ford family from its beginnings at Mount Vernon, each generation continued to walk a precarious line, bearing the weight of their heritage and battling issues of skin color, status, and identity. 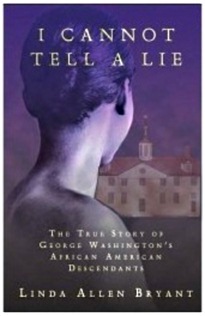 Linda Allen Bryant, a descendant of West Ford, pens her family's narrative history in I Cannot Tell a Lie. Their genealogy is rich in adventure, love, tragedy, sacrifice and courage--a story that will haunt you long after you turn the last page. 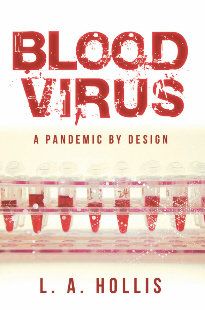 In my new novel, “Blood Virus: A Pandemic by Design” will delve into this deadly scenario. 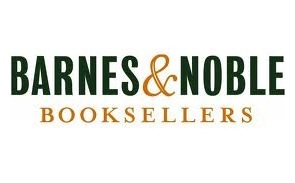 The story unfolds in the country of Benin, in Western Africa. Thousands are dying and many more are sickened as an unknown virus spreads through its populace. 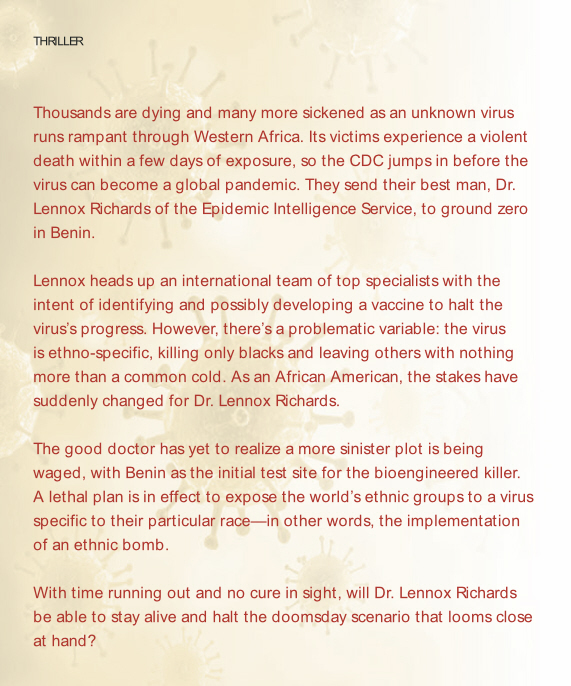 With the possibility of the virus becoming a global pandemic, the Centers for Disease Control is sending its most senior member of the Epidemic Intelligence Service, Dr. Lennox Richards, for answers. His team discovers during their analysis a problematic variable: an unknown component that makes the virus ethno-specific, killing only blacks and leaving others with the common cold. Lennox is African American and now faces the reality that he, too, can become infected. Little does he realize that a sinister plot is being waged to expose the world’s ethnic groups to a virus specific to their particular race—in other words, the implementation of an ethnic bomb. With time running out and no cure in sight, it is up to Lennox to help uncover the plot and halt the doomsday virus’ threat to humanity.